Vinehealth Australia has produced a range of handy tools in our Vintage Toolkit that will help you to be biosecurity-ready this vintage. Are you employing international staff this vintage? Know what you should be telling them before they come and when they land. Click here for our fact sheet for employing international staff. Does your business need to move winegrapes, grape products, machinery or equipment or diagnostic samples into SA this vintage? Vinehealth Australia has produced a series of easy-to-use flowcharts to help you interpret and comply with the current SA Plant Quarantine Standard. Are you aware that all machinery and equipment that is imported into SA that has been used in vineyards, including harvesters and tractors, is required to be Directly Inspected by Biosecurity SA staff or by an accredited business. Find out more here. Know who’s on your property at all times. Use our Visitor Sign in register to capture vital details you should be keeping of all visitors. Ever battling to keep unwanted visitors out of your vine rows, maybe because your signs have faded? Check out the signs we have on offer for both non-tourism facing and tourism-facing situations. Are you aware of what controlled conditions you need to apply when considering allowing visitors (including contract labour hire gangs and researchers down your vine rows)? Click here for our Biosecurity Planning for Vineyard Owners Hosting Visitors fact sheet. 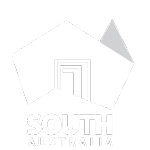 Are you moving machinery and equipment between the Limestone Coast and other South Australian wine regions, or out of South Australia interstate, best practice is to use the Naracoorte Heat Shed for disinfestation. Click here to find out some frequently asked questions about using the Naracoorte Heat Shed. Unsure how to setup a footwear disinfestation station or carry out the disinfestation process? Check out our updated Footwear and Small Hand Tool Disinfestation protocol. Pests and diseases can be spread on footwear. Are you looking for where to purchase sturdy disposable shoe covers as an alternative to footwear disinfestation? Click here for our current preferred shoe cover supplier. Search for ‘Pro Val CPE Heavy Duty Boot Covers’. It is best to wear 2 shoe covers per foot to ensure a barrier remains between the footwear and the soil surface. We are continuing to look at alternatives and will provide more options as they become available. Driving around in a tractor or atop a harvester? Use the time whilst harvesting to look out for any unusual vine health symptoms. Our If You Spot Me, Report Me! poster and associated documents will help you identify pests and diseases to look out for. Worried about your requirements for moving grapes in the face of a fruit fly outbreak in SA? Click here to understand what a fruit fly outbreak in SA means for winegrape movement for SA growers. SA growers, are you selling your grapes into either NSW or VIC? Do you know what movement requirements you must adhere to? Click here for requirements you must adhere to for movement of grapes from SA into VIC or NSW.